Our Deluxe XXL Pop A Can Carnival Game Rental is perfect for your next company carnival theme party. 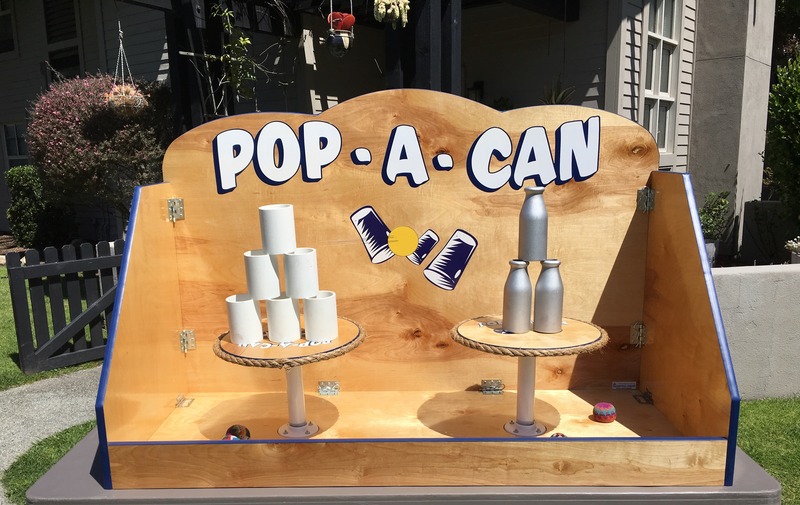 The XXL Pop A Can Carnival Game Rental is a high energy carnival game that can create a friendly or competitive edge to this all time classic game. Everyone will enjoy watching two players trying to knock down there cans or bottles off the elevated platform. 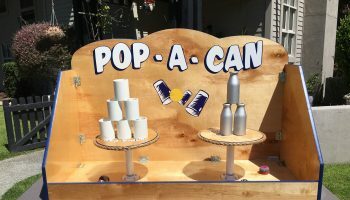 Our XXL Pop A Can Carnival Game Rental is a popular rental for any school carnival. This is a great addition to any classic themed carnival event. We provide all our carnival game rental to the entire Northern California Bay area Cities. Price: $129.00 for a 4 hr rental. Comes with 6 bean bags but this can be customize to fit your event needs. 1 6 foot table needed.